• This package includes unlimited beer, wine, and premium cocktails for the duration of the cruise. • Please note, price does NOT include admission. Each guest will need to purchase an admission ticket. 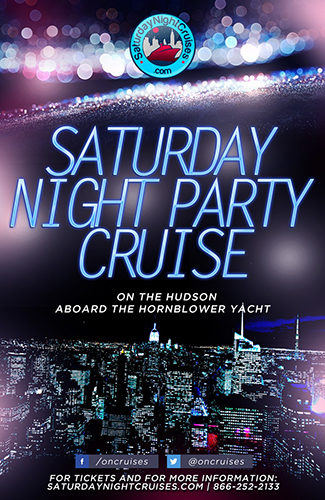 Spend Labor Day weekend Sunday night dancing on the water aboard the Hornblower Serenity Yacht New York while celebrating on the Hudson River. Setting off from Pier 40 NYC. Take in great views of the world-famous New York City skyline and Statue of Liberty while you celebrate Labor Day Weekend in New York aboard the Hornblower Serenity NYC. Enjoy drinks and dinner buffet for purchase while the live DJ spinning a mix of Top 40, house, rock, hip-hop, and mainstream music. Get your tickets for this exclusive event now.